Go View London’s new homes and development team is leading the way in the sale of the Forty5 development in Eaton Rise. The development is breaking new ground as a bespoke part-conversion, part-new-build development in the heart of Ealing. 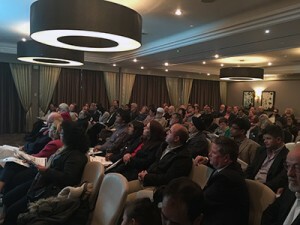 We had a wonderful turnout to our Ealing Property seminar on Tuesday, with hardly a spare chair in sight. Sold Price Report: Ealing and Acton Go View London released the first edition of the Go View London Sold Price Report Newsletter last week with a record opening rate. 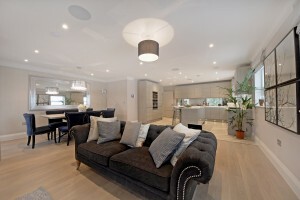 This newsletter will analyse and update sold prices across W5, W3, W13 and W7. We are delighted with our new parks section on our website, accessed via 'Our Area' tab on the home screen. We commissioned professional photographer Rodrigo De Souza to capture the main Ealing and Acton parks and open spaces and we are absolutely thrilled with the result and the feedback received so far. As part of our 'Guiding your Journey' series, Donald Collins, Sales Director, looks at the issues of the over-valuation in today's property market and why a new listing should always be underpinned by comparable evidence.